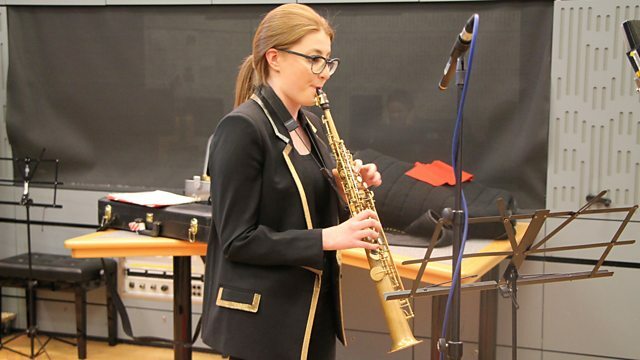 Sean Rafferty presents top-class live music from some of the world's finest musicians including, today, saxophonist Jess Gillam, the composer Steve Reich and cellist Shirley Smart. Ensemble: Contempoartensemble. Conductor: Mauro Ceccanti. Performer: Christoph Croisé. Performer: Sherniyaz Mussakhan. Orchestra: Eurasian Soloists Chamber Orchestra. Performer: Jess Gillam. Performer: Zeynep Özsuca. Conductor: Sir Simon Rattle. Orchestra: London Symphony Orchestra. Performer: Andrew Mathews-Owen. Singer: Claire Booth. Singer: Christina Landshamer. Singer: Marie‐Claude Chappuis. Choir: Thomanerchor. Choir: Tölzer Knabenchor. Orchestra: Gewandhausorchester Leipzig. Conductor: Riccardo Chailly. Performer: Jörg Demus. Singer: Dietrich Fischer‐Dieskau. Performer: Shirley Smart. Performer: John Crawford. Singer: Janet Baker. Orchestra: City of Birmingham Symphony Orchestra. Conductor: Sir Simon Rattle. Choir: Tenebrae. Orchestra: BBC Symphony Orchestra. Conductor: Nigel Short. Performer: John Crawford. Ensemble: Shirley Smart.